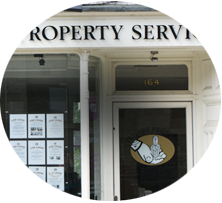 Stewart Property Services is a family run business with more than 25 years experience in leasing properties in the Aberdeen area. We offer a welcoming, professional, friendly and personal service. Our office is located at 164 Skene Street, only a short walk from the City Centre. We pride ourselves in the care we take in letting the right property to the right people. Please feel free to pay us a visit. People and Property, Safe in our Hands. Stewart property Services is one of the first agents in Scotland to achieve the LETWELL qualification, one of the recognized forms of qualification by the Scottish government, which will become mandatory for all letting agents to have a qualification from January 2018. Are you looking for 3 or 4 Bedroom HMO properties, please contact us today and we can advise what we have to offer in the City Centre and Garthdee areas of Aberdeen. For further information contact Anna on 01224 582830 or by email - info@stewartpropertyservices.co.uk.. This Fully Furnished Ground Floor flat is in excellent condition throughout. Situated within a minutes walk to Aberdeen City Centre and the Rosemount Area of Aberdeen. Ideally located for the ARI. Two Bedroom property situated in the Bedford Area of Aberdeen within 5 minute walk to Aberdeen University. Accommodation Comprises: Lounge, 2 Double Bedrooms, Bathroom with Shower and Kitchen.